Designed for the harshest of environments with a simple to use keypad and intuitive menus. 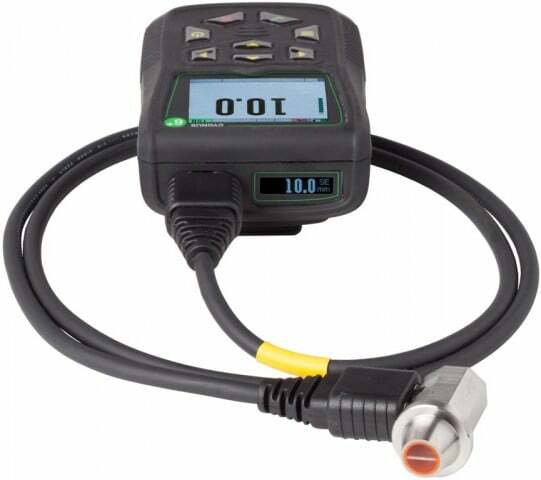 It incorporates a bright colour LCD display and an end mounted rotatable OLED display for easy viewing in hands free and rope access applications. 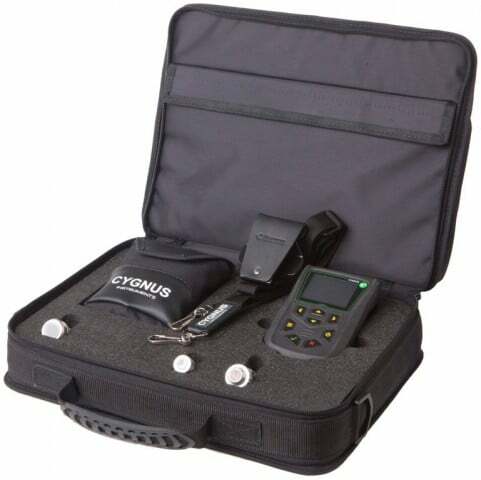 Contact us to find out more about the Cygnus 6+ PRO Multi-Mode or any of our other thickness gauges or request a quote online. Records easily transferred via gauge USB port to Cyglink software where they can be exported to a CSV file or a PDF report. The INOX probes have an updated ergonomic design and easier to read frequency, identification and serial number. All frequencies of INOX probes have a black face and a colour coding system to identify probe frequencies. Used in Multiple-Echo mode, these probes require no zeroing, have a high linear accuracy, are ideal for general thickness gauging, for use on pipes and have replaceable wear membrane for long life. Used in Echo-Echo and Single-Echo modes for a focussed ultrasound beam for improved measurability on extreme back wall corrosion and pitting.